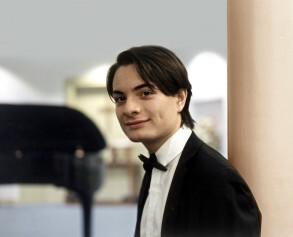 In May 2014, Leonardo Colafelice moved thousands of people at the 14th Arthur Rubinstein International Piano Master Competition, thanks to his creativeand virtuoso performance. He won three major prizes: Best performance of classical concerto, Best performer of a Chopin composition, Most outstanding pianist up to 22 years of age. This is Colafelice’s first performance in Israel, since the competition.